When a car bomb explodes on the American side of the U.S./Mexico border, Mexican drug enforcement agent Miguel Vargas (Charlton Heston) begins his investigation, along with American police captain Hank Quinlan (Orson Welles). 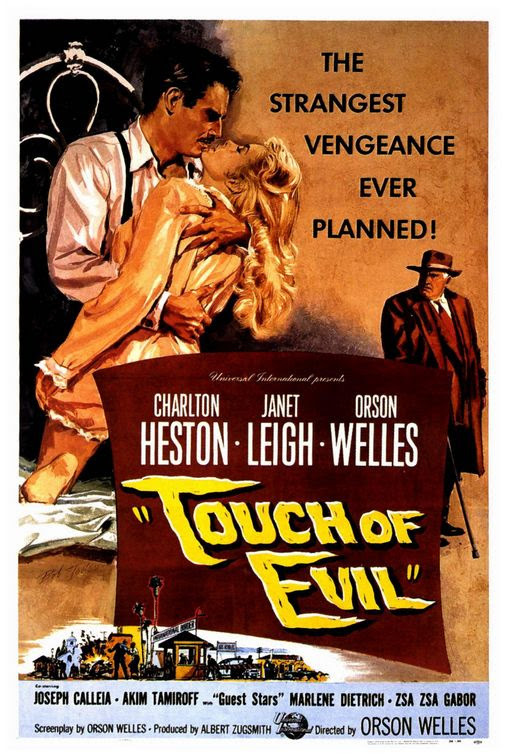 When Vargas begins to suspect that Quinlan and his shady partner, Menzies (Joseph Calleia), are planting evidence to frame an innocent man, his investigations into their possible corruption quickly put himself and his new bride, Susie (Janet Leigh), in jeopardy. Part of our free Monday Matinee Classics Series.